This is my first patchwork, done about 20 years ago, hand pieced and hand quilted. Size : 1m 35cm / 1m 35cm. La grace de la simplicite...et pour un coup d'essai, un coup de maitre !! A very elegant patchwork, in a contrasted decor that makes it very pleasant to observe. Short and sweet for your first post. :) Love your pretty quilt! Love your quilt...so soft looking! This is a great idea...visiting 1st posts...way to go Val!! A beautiful first quilt and first post. I love the hand quilting. 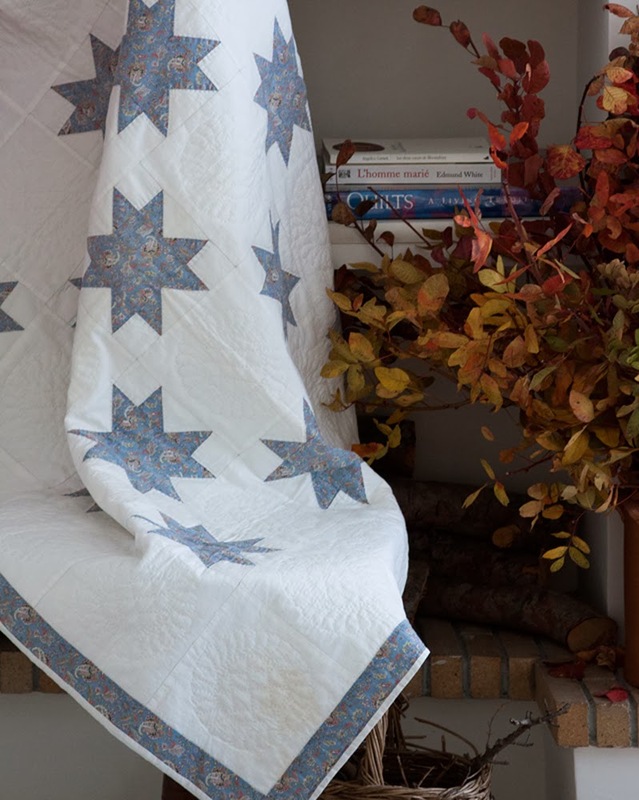 Stunning, and a FIRST quilt...wow! The hand quilting is really special. Beautiful fabric and hand quilting!